With Everton and Chelsea down in 12th and 11th position in the Premier League, a defeat for either one of these sides on Saturday's FA Cup quarter-final at Goodison Park will see their season finished. Check out below our EVERTON v CHELSEA betting preview with expert predictions, betting tips, probable line-ups, enhanced odds, free bets & no deposit bonuses on the FA Cup! Everton have a number of fitness doubts for the match, including Bryan Oviedo with a chest infection. Kevin Mirallas is suspended following his red card against the Hammers while Tyias Browning remains sidelined until the end of the season. Leighton Baines and Gerard Deulofeu could both come into the starting XI. Aaron Lennon is doubtful and will undergo a late fitness test. Chelsea are still unbeaten under Guus Hiddink in domestic competitions. Anyway, they did suffer a second 2-1 defeat on Wednesday when a reverse against Paris Saint Germain sent them out of the Champions League. In FA Cup the Blues have beaten Scunthorpe United and MK Dons 2-0 and 5-1 respectively, they booked their place in the last eight with another 5-1 success against a weakened Manchester City. Captain Terry returns to contention after a six-match absence with a hamstring problem. Striker Diego Costa is undergoing treatment for a hip problem which forced him off last time out and he is a doubt for the trip. Eden Hazard is also carrying a knock and may not be risked. Hiddink must decide between Bertrand Traore, Loic Remy and Alexandre Pato to lead the line as the perennially injured Radamel Falcao remains out along with Kurt Zouma. Kenedy is expected to get the nod at left-back again. Everton have won just one of their last five meetings with Chelsea in all competitions, although that did come earlier this season when the Toffees recorded a home victory in September against a struggling Chelsea. Later this season these two sides recorded a 3-3 draw in January's Premier League clash at Stamford Bridge. What a price! 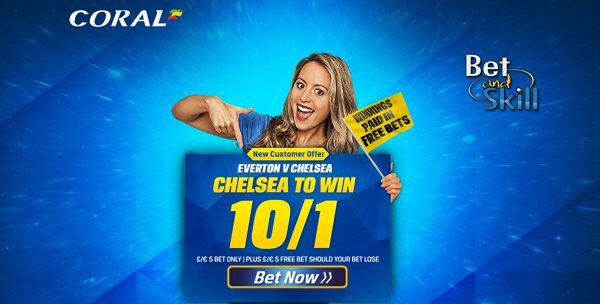 10/1 Chelsea to beat Everton + £5 free bet! Enhanced odds - 10/1 Everton to win the match! BTTS Boost! 10/1 both teams to score at Betbright! 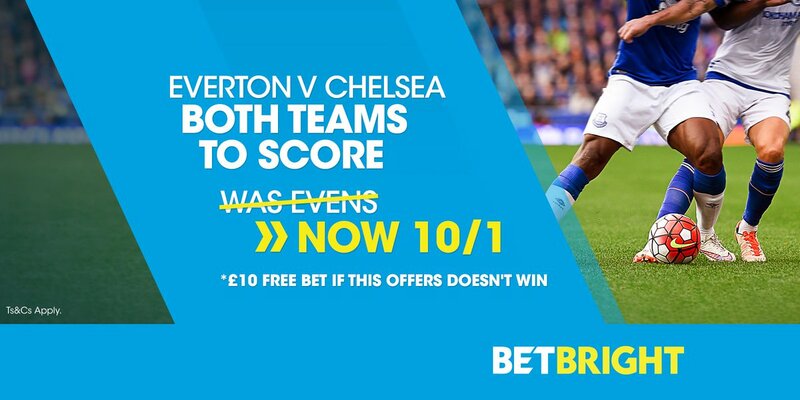 Enhanced odds: 10/1 Everton or 7/1 Chelsea to win! Risk-free! 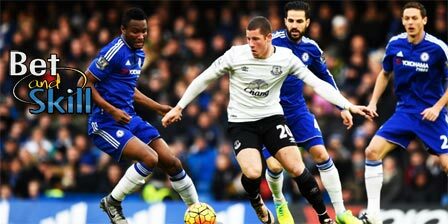 "Everton v Chelsea predictions, betting tips, odds and lineups (FA Cup - 12.3.2016)"